And The Award For Convoluted Legalese Goes To ... A new award recognizes the worst in "official" writing — and attempts to shame governments and companies into communicating better. The Center for Plain Language hopes its new award will encourage clear and useful writing. A new award recognizes the worst in "official" writing -- and attempts to shame governments and companies into communicating better. The Center for Plain Language hopes the award will encourage clear and useful writing. Founder Annetta Cheek joined NPR's Renee Montagne to talk about the awards, along with David Malki, a cartoonist who often targets poor writing. Malki was one of the competition's judges. Cheek started the nonprofit center after being a federal employee for 25 years. "I just got so tired of all that bureaucratic and legalistic writing," she said. 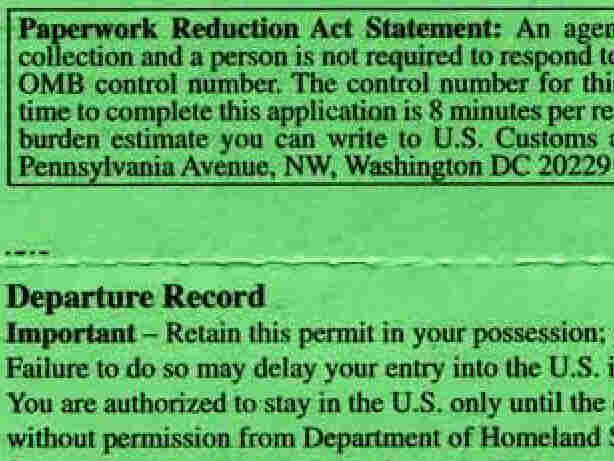 Use: A form distributed to foreign visitors to the United States, often on international flights. The person who nominated the form sums it up like this: "Welcome to the United States -- you diseased, crazy, drugged-out, criminal, lying, spying child abuser!" Calling the language in the form "confusing, arcane, bureaucratic, bizarre and downright offensive," the nominator asked, "How many citizens, let alone foreigners, know what 'moral turpitude' means? Why say 'type or print legibly' -- do tourists bring typewriters on the plane?" 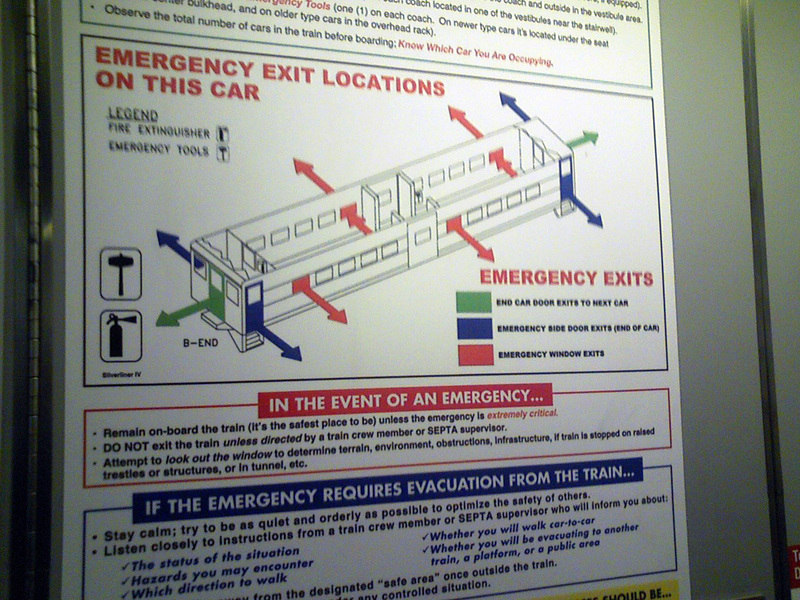 Use: Posted in regional rail cars on the SEPTA line in and around Philadelphia. 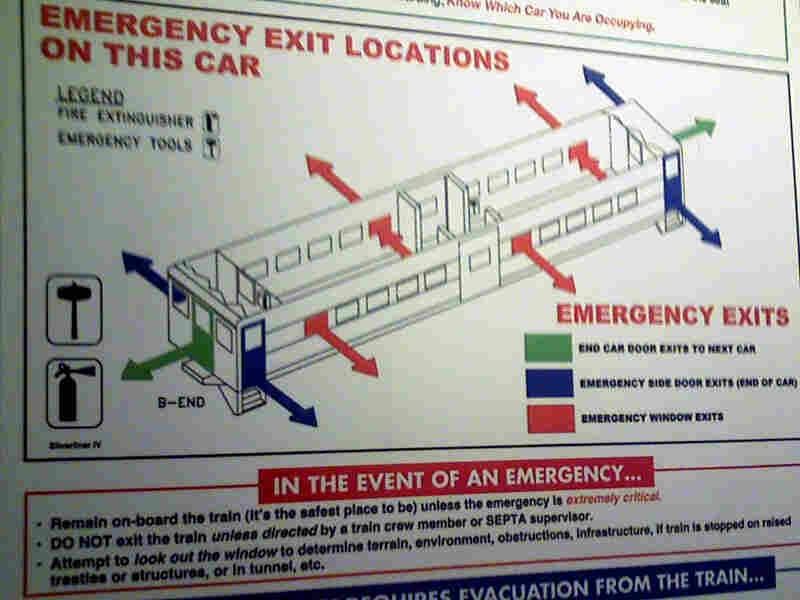 "How many people know what Egress, Parlor or Vestibule is on a train?" the nominator asks. With a confusing mix of labels and colors, the diagram isn't easily understandable to riders. And finally, some elements may be more effective posted in the station: The sign asks riders to count the cars of their train and know which one they're in. "It's too late once I'm on the train," the nomination reads. Use: Guide to inform citizens about absentee voting. The Center for Plain Language also recognizes groups that improve their presentations. This guide was once titled "Instructions for Absentee Voters (Unregistered, Challenged or Incomplete Registration)." 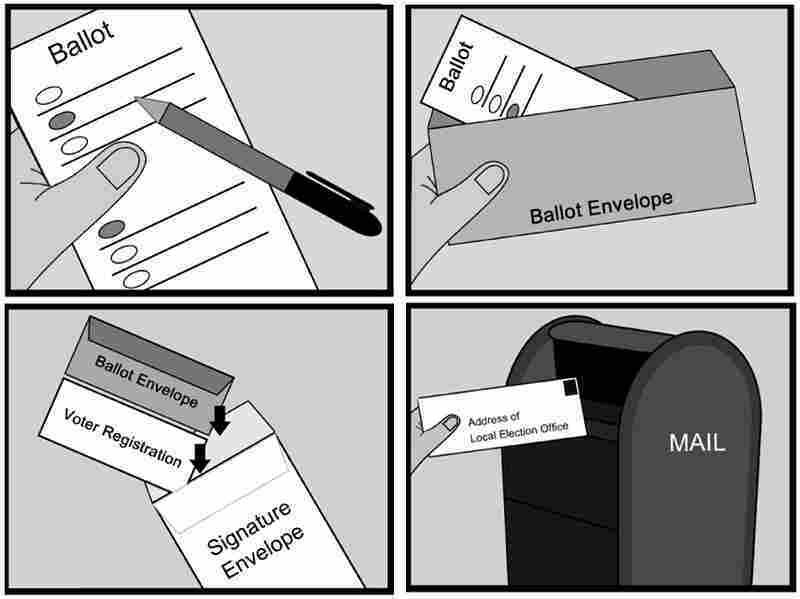 New name: "How to vote by absentee ballot." In addition to listing what a voter should have on hand before getting started, the revised version of the guide also includes information many people might find useful when navigating a complicated ballot: what to do if a mistake is made. Surprisingly, a visit to Minnesota's voter information site Friday found that the original document was still being used instead of its replacement. Among other nominees, Cheek says her favorite sentence comes from a letter that Chase bank officials sent about a change in the way it charges interest. Cheek says that after reading it 10 times, she was none the wiser about the bank's policy. Cheek says the folks at Chase were disappointed to learn they had "won" the award. She says their response was, "We really try to do this better." "If this is their best effort," Cheek says, "the situation is pretty sorry." Winners of the awards -- titled WonderMark for confusing documents and ClearMark for clear ones -- will be announced Thursday. In the ClearMark category, the American Speech-Language-Hearing Association is cited for revising an informational handout for patients that was once titled "Cognitive Communications Problems Following Right Hemisphere Damage." That was changed to "Thinking and Behavior Problems from Stroke." Malki acknowledges that it's not easy to write simple and clear documents -- especially if they tackle complicated subjects. "However, there are a lot of freelance writers who need some work," Malki says. "And they could easily be hired."